FROM 2012 TO 2018, Dublin City Council has dealt with over 14,000 cases of illegal dumping complaints related to one part of the capital. During that six-year time period, the Central Area Department dealt with 14,148 unique cases of illegal dumping complaints, in addition to 1,605 recorded fix your street incidents (where people can flag incidents via the Fix Your Street site), council documents seen by TheJournal.ie show. In 2017 alone, Dublin City Council (DCC)’s litter warden service dealt with and collected over 6,000 bags of illegally dumped waste. Already this year, eight fines have been doled out to people who were identified after council staff searched illegally dumped rubbish. In an effort to continue targeting illegal dumping, DCC’s central area department has started a new anti-dumping campaign in “key areas” in the city centre. As part of this, targeted streets will be searched and collated. Temporary signage will put in the areas to let people know that DCC operatives are operating there (see photo below). So far this year, eight fines have been issued to people due to evidence found in bags. Last year, the litter warden service carried out surveys on over 4,702 properties in the central area and 2,080 advisory notices were issued to non-compliant addresses. Due to demand from public representatives, city councillors, residents, community groups and business owners over illegal dumping and littering, Dublin City Council identified numerous black spots in a mapping exercise. CCTV was considered in an effort to identify the pattern of dumping at these locations and so that fines could be issued where possible. Each year the council erects 26 cameras in multiple areas of the central area in Dublin. If you dump illegally, we will look for you, we will find you… and we will prosecute you. The area office was contacted by a person featured in the poster shortly after it was put up. Dublin’s North Inner City has been graded extremely poor in the Irish Businesses Against Litter (IBAL) reports in recent years. In 2017, the North Inner City achieved a ranking of 37 in the Town/City category and given a status of ‘littered’. IBAL said that while still littered, Dublin’s North Inner City recorded its best ever performance since it was first surveyed in 2011. Email “6,000 bags of rubbish were illegally dumped in Dublin's inner city last year ”. 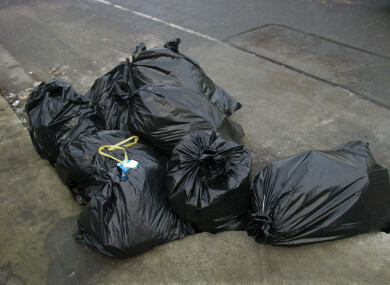 Feedback on “6,000 bags of rubbish were illegally dumped in Dublin's inner city last year ”.